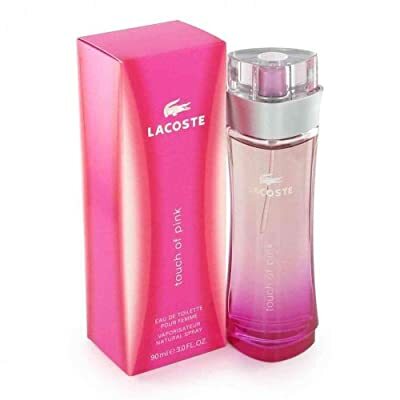 Released by the style home of Lacoste in 2004, Touch of Pink is classified as a flower oriental fragrance. This feminine fragrance has a mix of: Jasmine, violet, coriander leaves, blood orange, sandalwood, musk and vanilla. It is advised for casual wear.